The Boston location, above, at 3 Center Plaza, is set to close Feb. 15. It will be the last of the five Panera Cares restaurants to go dark. 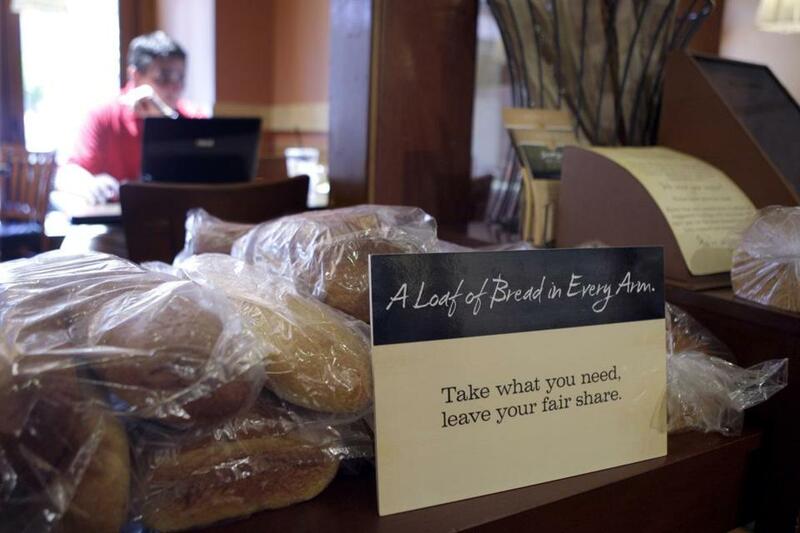 The Feb. 15 closure of the Panera Cares restaurant in Boston — announced by the fast casual chain earlier this week — will mark the end of a nearly decade-long social experiment in the charitable nature of consumers, and perhaps the beginning of a business school case study. The concept was introduced in 2010, when Panera Bread Co. opened its first Panera Cares location in a suburb of St. Louis, where the company is based. Under the chain’s nonprofit arm, the stores operated on a pay-what-you-can model. Customers could pay as much or as little as they wanted for sandwiches, soups, and other menu items, which carried only suggested prices. The hope was that enough of them would “pay it forward” for those who were less well off. To make it work, the company figured, 60 percent of patrons would need to fork over the full price, about 20 percent would have to offer more money, and another 20 percent could leave less than the suggested price, or even pay nothing. In December 2012, when the Boston Panera Cares was about to open at 3 Center Plaza, company founder Ron Shaich told the Globe that it would be a place where people could eat with dignity, no matter whether they could afford a meal. The answer, apparently: Some did, but not enough to make the restaurants sustainable. “Pay what you want is really tricky,” said Ayelet Gneezy, an associate professor at the University of California San Diego, citing the same reason that Shaich raised more than six years ago in Boston. “It hinges on this notion of wanting to do the right thing,” said Gneezy, whose research has touched on consumer psychology as well as pay-what-you-can and pay-what-you-want business models. Consumers are willing to pay more under such circumstances, she said, if it’s clear to them that the proceeds will go to charity. In the case of Panera, however, some customers may have figured the company was successful enough to keep the stores running, no matter what they did or didn’t pay for food. In other words, it wasn’t evident to them that the outcome depended on their charity. Shelle Santana, an assistant professor at Harvard Business School who has also researched pay-what-you-want models, said consumers’ perception of a company affects how much they are willing to part with when the price isn’t set in stone. With Panera, it’s possible that customers didn’t view the chain in the same way they would, say, a nonprofit community health center seeking donations. Notably, independent cafes operating under pay-what-you-can models have met with relative success elsewhere in the country. One World Everybody Eats, a Utah-based nonprofit that provides support for restaurants using the experimental business models, lists about 70 pay-what-you want cafes in the United States on its website. 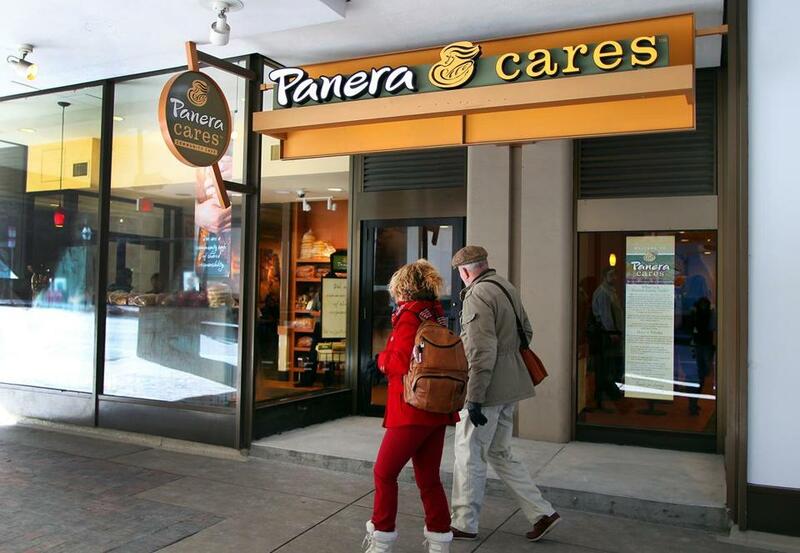 Panera didn’t specify why the Panera Cares store in Boston was closing, except to say in a statement that it was “no longer viable.” It’s unclear how poorly the restaurant did, but the Panera Care in Portland apparently hemorrhaged money, making only between 60 and 70 percent of its operating cost in sales, according to The Oregonian newspaper. In practice, pay-it-forward is a concept that’s hard to implement as part of a store operation, and might even alienate customers, said Paul Cosway, a professor at Boston University’s Questrom School of Business. Cosway compared the Panera effort with Radiohead’s 2007 album, “In Rainbows.” In a move that was almost unheard of then, the British band offered downloads of its new music to listeners for whatever they wanted to pay. With the album, he said, consumers who paid for the download (and about 40 percent did) were showing that they believed the music had value. With a sandwich, however, what you’re paying for is murkier — is it for the food, or for charity? Ultimately, Cosway said, this could lead to confusion and discomfort on the customer’s part, which is bad for business. Santana said that without financial details, she can only guess as to why the Boston Panera Cares closed. Perhaps the overall consumer base eroded, she said, or the number of people who were paying enough to subsidize meals for other customers decreased. It’s also possible that operational costs, including rent, had gone up over time, she said. But Gneezy, the UC San Diego professor, said the fact that all five stores failed may indicate that the model was flawed from the start. “They didn’t rush to expand, but I suspect they didn’t get it right to begin with,” she said. Max Reyes can be reached at max.reyes@globe.com. Follow him on Twitter@MaxJReyes.